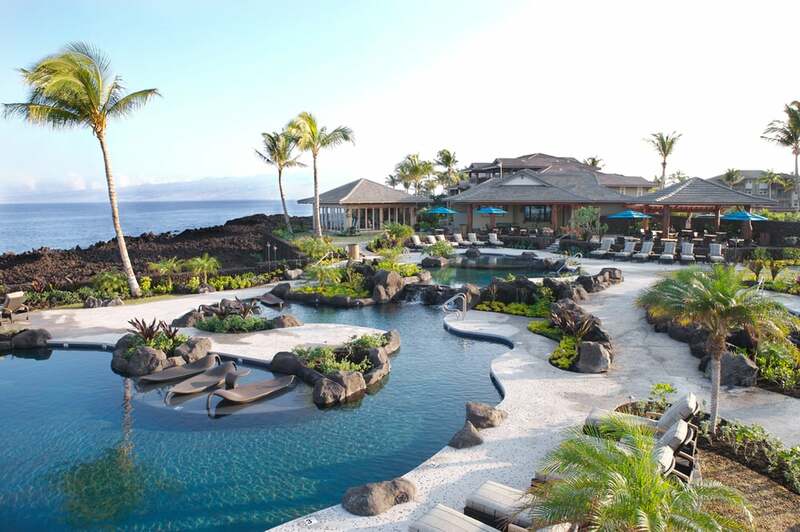 Halii Kai at Waikoloa is located along the Kohala Coast of Hawaii Island and features 192 fee simple multi-family condominiums along the perimeter of Waikoloa Beach Golf Course. The project includes 24 three level structures on one of the last ocean front communities. Amenities include the Ocean Club featuring a free form swimming pool with dining and exercise facilities, and the Coconut Grove, which provides a lush hideaway with picnic areas, barbecue grills and inviting hammocks stretched between coconut trees. The project includes tropical landscaping which contains expansive lawns with gentle slopes to provide golf course and ocean views.